Vasylenko, Mykola [Василенко, Микола], b 14 February 1866 in Esman, Hlukhiv county, Chernihiv gubernia, d 3 October 1935 in Kyiv. Historian, legal scholar, and community and political leader; husband of Nataliia Polonska-Vasylenko. He studied medicine and then history and philology at Dorpat (now Tartu) University in 1885–90. He taught in gymnasiums in Kyiv (1892–1902), served in the Russian Ministry of Internal Affairs (1902–5), worked as a journalist and editor of Kievskie otkliki (1905–6), and coedited Kievskaia starina. He was imprisoned for his editorship of the Kievskie otkliki, and while incarcerated, took to studying law. In 1907 he graduated with a law degree from Odesa University, and he practiced law until 1917. He was elected to the Ukrainian Scientific Society in Kyiv (UNTK) in 1908, headed its historical section, and edited its Zapysky Ukrains’koho naukovoho tovarystva v Kyievi. He was also made a lecturer at Kyiv University but was barred from teaching by the government. He became a full member of the Shevchenko Scientific Society (NTSh) in 1911. He was a member of the Old Hromada of Kyiv, joined the Society of Ukrainian Progressives (TUP), and in 1910 became active in the Russian Constitutional Democratic (kadet) party. In April 1917 Vasylenko was appointed curator of the Kyiv school district (which included Kyiv gubernia, Volhynia gubernia, Podilia gubernia, Chernihiv gubernia, and Poltava gubernia) by the Provisional Government, and that year he became an associate minister of national education in Petrograd. In January 1918 he became a member of the collegium of the Ukrainian General Court. In the Hetman government he was head of the Council of Ministers and then minister of education (until 18 October), and in August 1918 he was also made president of the State Senate. As minister of education he encouraged the formation of the Ukrainian state universities in Kyiv and Kamianets-Podilskyi (see Kamianets-Podilskyi Ukrainian State University) and the establishment of the Ukrainian Academy of Sciences (November 1918) and the National Library. In 1920 he became a full member of the VUAN, and in 1921 he was made its head, although the appointment was not confirmed by the Soviet authorities. In 1922–9 he was head of the socioeconomic division of the VUAN, as well as head of the commission for the Study of the History of Western-Ruthenian and Ukrainian Law and a member of the Archeographic Commission and the Ukrainian Historiographic Commission. In 1924 he was sentenced at a show trial to 10 years’ imprisonment but was granted amnesty. In 1929 he was barred from holding directorial positions within the VUAN. Vasylenko’s scholarly work continued the work of Oleksander Lazarevsky in the field of general Ukrainian history and Ukrainian legal history; he undertook studies of Left-Bank Ukraine and published a host of primary documents. By the time of the Revolution of 1917 Vasylenko had already contributed significantly to the literature of his field, with numerous articles in Kievskaia starina, and Ukrainskaia zhizn’, and in the Russian encyclopedia published by Brockhaus and Efron and Ocherki po istorii Zapadnoi Rusi i Ukrainy (Studies in the History of Western Rus’ and Ukraine, 1916). Vasylenko published Materialy dlia istorii ekonomicheskogo, iuridicheskogo i obshchestvennogo byta staroi Malorossii (Materials for the Economic, Juridical, and Political Life of Old Little Russia, 3 vols, 1901–8) as well as studies on the holdings of Hadiach regiment and Kyiv regiment. His essays on such Ukrainian historians and scholars as Osyp Bodiansky, Orest Levytsky, Ivan Kamanin, Bohdan Kistiakovsky, I. Balinsky, and M. Semevsky (the editor of Kievskaia starina) are valuable historiographical sources. In the 1920s Vasylenko headed the group of scholars who formed the VUAN Commission for the Study of the History of Western-Ruthenian and Ukrainian Law, and was editor of seven volumes of its Pratsi (1925–30) and of six volumes of Zapysky Sotsiial’no-ekonomichnoho viddilu VUAN (1923–7). The VUAN also published a number of his monographs, including Pavlo Polubotok (1925), Iak skasovano Lytovs’koho statuta (How the Lithuanian Statute Was Abolished, 1926), O.M. Lazarevs’kyi (1927), and Terytoriia Ukraïny 17-oho viku (The Territory of Ukraine in the 17th Century, 1927); ‘Zbirka materiialiv do istoriï Livoberezhnoï Ukraïny ta ukraïns’koho prava XVII–XVIII vv.’ (A Collection of Materials for the History of Left-Bank Ukraine and Ukrainian Law in the 17th and 18th Centuries), in Ukraïns’kyi arkheohrafichnyi zbirnyk, vol 1, 1926, and as a separate publication; ‘Pravne polozhennia Chernihivshchyny za pol's'koï doby, 1618–1648’ (The Legal Status of the Chernihiv Region in the Polish Era, 1618–48), in Chernihiv i pivnichne Livoberezhzhia (1928); and Materiialy do istoriï ukraïns’koho prava (Materials in the History of Ukrainian Law, vol 1, 1929). 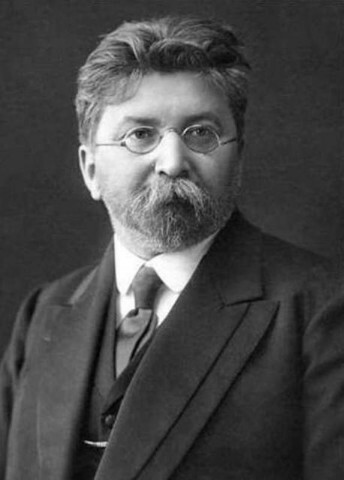 His scholarly works were harshly criticized by the Soviet historian Serhii Ivanytsky-Vasylenko in 1932, and Vasylenko was subsequently forbidden to publish his works.